If I want to get a website designed, what is the process? What type of website will you provide - dynamic or static and what programming language will you use? We develop both static and dynamic websites; it will depend on the package selected by you. 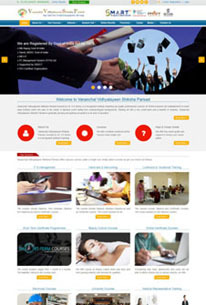 The website would be developed in advanced PHP programming along with MySQL, JS, CSS, jQuery, AJAX and HTML etc. Will this website be mobile responsive or not? 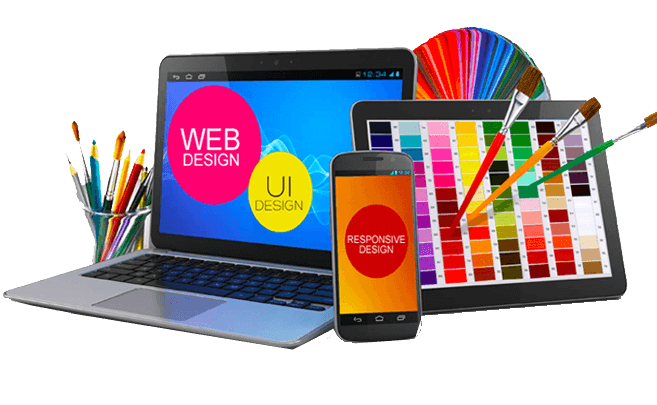 Mostly we design responsive websites so as to provide max benefits to our clients; however, if you select basic package then your website would not be responsive. 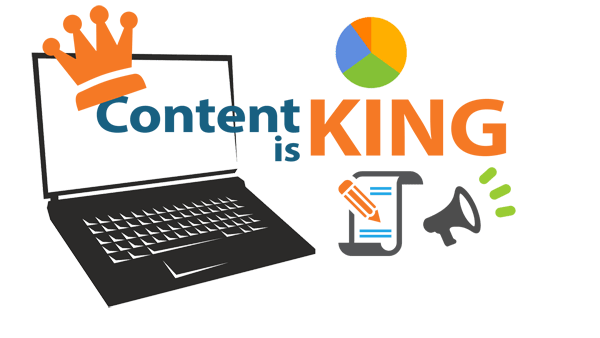 Will you write website content for us or we have to provide the content? We shall provide you with user id and password so that you can manage your social media accounts website or you can send us details to upload on Social Medias accounts. Yes we will provide cpanel login to you so that you can update the website yourself. How many days will it take to promote my website on google.com first page? Normally it takes 45 working days but it may take less than 45 days and maximum 60 working days. Will my website appear on google.com by searching my organizations name? If yes then how much time will it take? In 5 working days your organization’s website will appear on google.com search by name and domain name. In some cases it takes 10-12 days. Is your office located in my state/city or in which state is your office located? 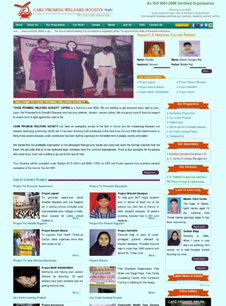 Our offices are in Delhi and Bihar; kindly click on contact us to know about our contact details. 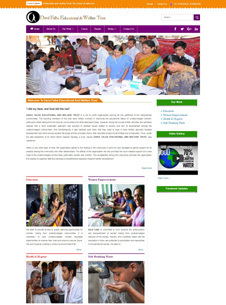 What is the process to get a web portal developed? Getting Started- Mail us your requirements and our team shall have detailed discussion with you. Based on our understanding we shall provide you an optimal and accurate cost estimate and define the schedule to complete your web portal. Initiating the work- You are required to release an advance payment of 50% to initiate the work. Kindly share payment confirmation by email, WhatsApp or over phone Contact Us. Once our billing team confirms the payment, our technical team will start developing the portal. 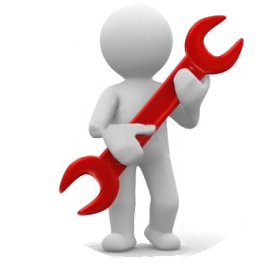 After the web portal has been developed, we will send you link for testing. 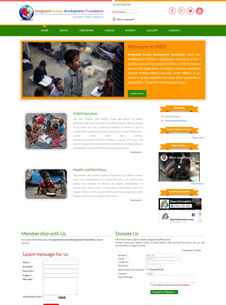 You can suggest changes so that we can modify the web portal as per your choice. 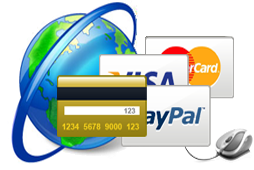 Based on your final approval and payment of due amount, we will book domain name and will host your web portal live on www.xyz.com. What do I have to pay for getting a web portal developed? It will depend on your specific requirements, number features, pages and level of customization, related services like domain, hosting, etc. Whether you are looking for a simple portal or a highly customized and complex one, we offer high quality service at affordable rates and guarantee maximum value for your money. How much tome does it take to complete a web portal development? Time is generally determined by the volume of work to be done, the size and features of the portal. It can take a few weeks to a few months or even upto a year. 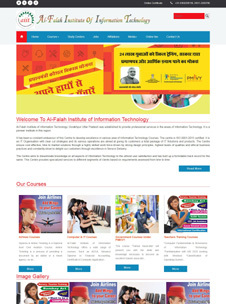 The web portal will be developed in advanced PHP programming along with MySQL, JS, CSS, jQuery, AJAX and HTML etc. We use programming languages that provide the highest security and reliability required to power your web portal. Will you write content for my web portal or I have to provide the content? This will depend on the budget. SEO is an abbreviation for Search Engine Optimization and is a small part of Digital Marketing. SEO is an effective means to improve your website’s ranking on search engines in order to drive visitors to your website. How long will it take before I see results of SEO? 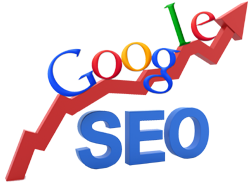 It usually takes around 3 months to see the results of SEO; in some cases it may take up to 6 to 8 months as well. Why do I need to invest in SEO, SMO & Digital Marketing? Just having a website will not help you to grow your business or generate revenue/raise funds online. Search Engine Optimization (SEO), Social Media Optimization (SMO) and Digital Marketing are cost-effective ways to long term success for organizations to promote their website in the digital world and drive potential visitors/clients to their websites. Why do I need an E-commerce website? Also, we offer E-commerce website at affordable costs, so you need not really think of e-commerce as a whole lot of investment that is going to burn a hole in your pocket. Kindly check our E-commerce package starting rates. If I want to get an E-commerce website designed, what is the process to start and complete the E-commerce website designing work? Once our billing team confirms the payment, our support team will contact you. Support team will provide you an E-commerce website development form to send us details of your organization for designing website, creating social media accounts, integrating payment gateway, etc. Once the website has been developed, we will send you link for testing. 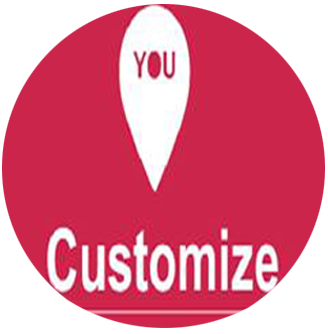 You can suggest changes so that we can modify the website as per your choice. 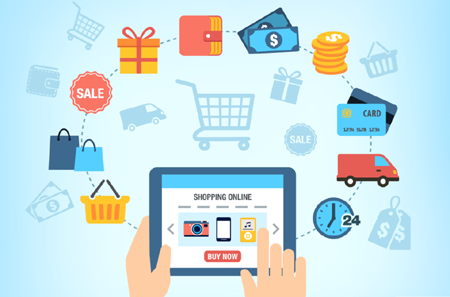 What type of E-commerce website will you provide - dynamic or static and what programming language will you use? We develop both static and dynamic websites; it will depend on the package selected by you. 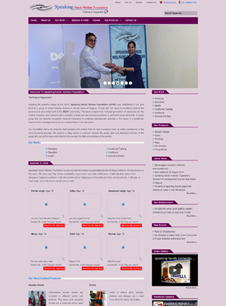 The website would be developed in advanced PHP programming along with MySQL, JS, CSS, jQuery, AJAX and HTML etc. We use programming languages that provide the highest security and reliability required to power your complex E-commerce website. Will this E-commerce website be mobile responsive or not? Mostly we design responsive E-commerce websites so as to provide max benefits to our clients; however, if you select basic package then your website would not be responsive. This will depend on the package selected by you; kindly check in the package list. What documents would I have to give to design my E-commerce website? We only need your organization's information- contact details, bank account details, product details, images, videos and existing website, if any, to design your E-commerce website. You can send other documents for uploading on the E-commerce website. If you have furnished all the information/submitted all the documents related to E-commerce website designing then we will take max 15-20 working days for developing the E-commerce website and all the work related to promotions, payment gateway integration, etc. will take max 50-65 working days. We shall provide you with user id and password so that you can manage your social media accounts or you can send us details to upload on Social Medias accounts. Can we update our website, add/remove products ourselves? Yes, We will provide cpanel login to you so that you can update the website, add/remove products yourself. How many products can my E-commerce website support? The E-commerce website designed for you can support unlimited products; however, it will also depend on the package that you select. How many days will it take to promote my E-commerce website on google.com first page? We offer to do the changes for free all year round. You can change/add images, products, news, blogs, videos etc. yourself; however, if you are not able to do the changes, then send us and we will update the same free of cost 2 times in a month. In case if you want some extra pages that will depend on the selected package or that may be chargeable as development has no limitation. Will I get complete ownership of the E-commerce website? This is your property so of course you will own the E-commerce website after it is developed; we will share complete user id and password of the admin. The only thing that we ask for is to have an acknowledgement link for the website designer somewhere in the footer of the site. Web hosting is making your website, E-commerce website, web portal live or publishing your website online so that everyone can view it on the Internet. How much time does web hosting take? 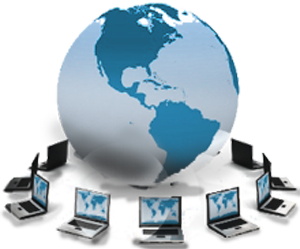 Web hosting takes around 10-20 minutes. A domain name locates or identifies your website on the Internet, like www.sahaniyatech.com. It is a unique IP address which serves as the address of your website on the Internet. Who will give me domain name? We shall buy and register your domain name from a domain name. Choose a domain name that is easy to identify with your organization, like the organizations full name or acronym, abbreviation or a casual shortening of the full name. It should also be easy to remember. We shall also guide you while choosing and registering your domain name. What do I do with multiple domain names? Do I have to get as many websites designed? You can choose to have a single domain name, like www.abc.org, or multiple versions of your primary domain names like www.abc.org, www.abc.org.in, www.abc.co.in; you need not have to get multiple websites designed, as when you type the additional domain names, the website shall be directed to your primary domain name, that is, www.abc.org. Does a domain name have a validity period? Yes. While registering your domain name you are given an option to register it for a minimum period of1 year and a maximum of 10 years. If registered for one year, you have to keep renewing the domain name for the next year or next few years to keep the name valid and registered for your organization till the expiration date. What will happen if I do not renew my domain name by the expiration date? If you fail to renew your domain name by the expiration date, your website and related service like email services shall be blocked and subsequently you shall lose your domain name. What is the process that you will follow to write my proposal? 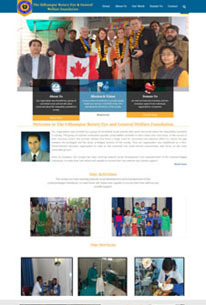 Getting Started- Mail us and our team shall have a detailed discussion with you on the kind of proposal you want us to draft for your organization, like grant proposal, reply to RFPs, etc, unsolicited proposal to CSR Company, etc. We will develop a clear understanding of the geography, requirement of the donor agency, scope of work and approximate budget. Then we shall provide you an optimal and accurate cost estimate and define the schedule to complete your project. Initiating the work- You are required to release the full payment to initiate the work. Kindly share payment confirmation by email, WhatsApp or over phone Contact Us. Once our billing team confirms the payment, our support team shall send you a proposal development form, and if applicable, request you to send the link of the RFP/grant application details. Upon receiving the details, our team shall start drafting the proposal and budget. We shall coordinate with you in case we require any input or suggestion. After drafting the proposal and preparing the budget, we shall edit and proof read the documents and then send it to you for your feedback and approval. Final submission- Once we receive your feedback or any suggestion for any change (s), we shall consider/incorporate the same in the proposal or budget and finalize it. Based on your final approval, we will email you the final copies of the proposal and budget. How much time does it take typically to complete a proposal and budget? There is no spot on answer for this as it entirely depends on the type and requirement of the proposal. Who will provide the idea for a proposal to be submitted to a CSR company, you or I? We work closely with you while developing a solicited or unsolicited proposal. While in a solicited proposal we have to adhere to pre-defined guidelines, an unsolicited proposal gives us more freedom. 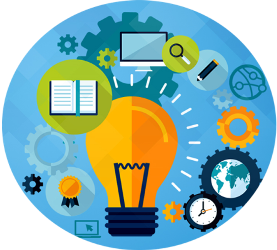 If you have envisioned a project, we will effectively put your idea into words. If you want us to think for you we will match the donors requirements with your organizations capacity and activities, determine the need of the area, suggest a solution(s), strategies and activities and pan out the idea in the form of a compelling proposal. Can you share samples of projects you have worked on? Unfortunately, we have to maintain strict confidentiality and cannot email any sample to you; for more details, Contact Us. For which sectors do you write proposals? We have a strong team with years of experience and expertise in writing proposal s across all sectors and also developing proposals for integrated development projects focusing on two or more sectors. We have ideas, we have been working in the field for many years and we know how to prepare a budget, then why should we come to you? Simply because we shall help you to develop a compelling narrative by putting words around your ideas and draft a proposal covering 10 essential pointers; Click here to know more on our proposal writing service. We shall leverage the strong expertise and rich experience of proposal writers who have crafted several successful projects funded by international and national agencies as well as CSR Companies. What is the process that you will follow to write our annual report? Getting Started- Contact us and our team shall have a detailed discussion with you and develop a clear understanding of your organization. 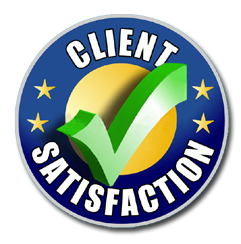 Then we shall provide you an optimal and accurate cost estimate and define the schedule to complete your report. Initiating the work- You are required to release the full payment to initiate the work. Kindly share payment confirmation by email, WhatsApp or over phone Contact Us. Once our billing team confirms the payment, our support team shall mail you the list of documents you need to send us along with other details. Upon receiving the details, our team shall start drafting the annual report(s). We shall coordinate with you in case we require further information. After drafting the annual report, we shall edit and proof read the document(s) and then send it to you for your feedback and approval. Final submission- Once we receive your feedback or any suggestion for any change (s), we shall consider/incorporate the same in the document and finalize it. Based on your final approval, we will email you the final copy of the annual report. How much time does it take typically to complete an annual report? There is no spot on answer for this as it entirely depends on the length of the document, that is, the number of pages and the volume of documentation to be done. Who will decide the design, you or I? 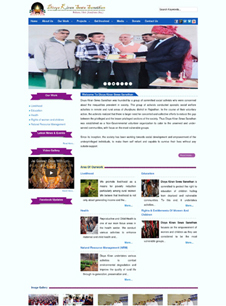 If you have a particular design in mind, let us know, or else we shall plan jointly with you. Can you share samples of annual reports you have worked on?